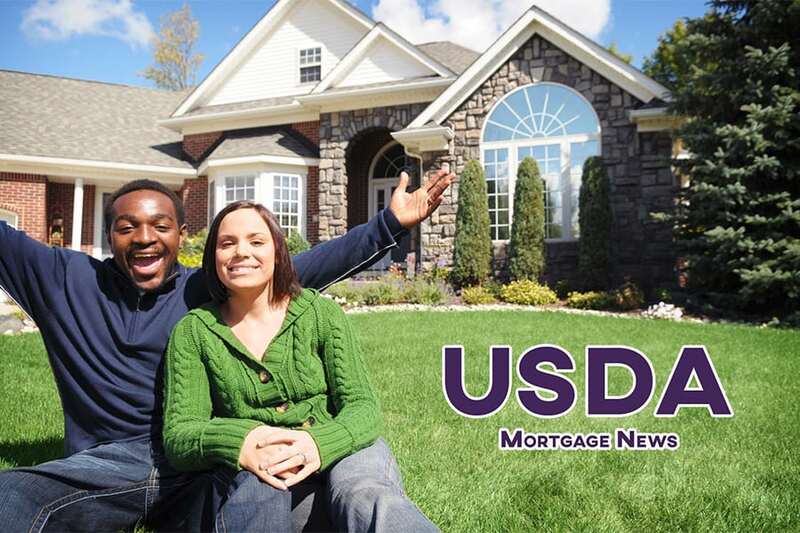 USDA loans are mortgage loans which are guaranteed by the U.S. Department of Agriculture. The program is officially known as the USDA Rural Development Guaranteed Housing Loan Program, or the “Section 502 loan”, named for its place in the USDA charter. USDA loans are also known as “Rural Housing Loans”, which can be a bit of a misnomer. USDA loans can be used be used in rural areas, but many suburban areas remain eligible as well for the program as well. USDA loans are popular among today’s home buyers because the USDA program offers no-money-down financing. Home buyers can finance 100% of a home’s purchase price; and, can even use the loan to help purchase a manufactured home or a modular home. Furthermore, because USDA loans are guaranteed against loss by the U.S. Department of Agriculture, they are of very little risk to banks which make them. Low risk brings low rates and this is why USDA mortgage rates today are often the lowest of all of the government-backed mortgages. USDA mortgage rates are typically lower than the rates for FHA loans, VA loans, and conventional mortgages via Fannie Mae and Freddie Mac. Lastly, the USDA loan program offers reduced mortgage insurance premiums (MIP) to its borrowers. The annual USDA mortgage insurance premium — at just four-tenths of one percent per year — is 70% lower than the MIP charged for a comparable FHA-backed loan. USDA loans can be big money-savers; and they’re available to first-time home buyers as well as repeat home buyers. Homeownership counseling is not required to use the USDA home loan program. Most closings can happen in 45 days or fewer.